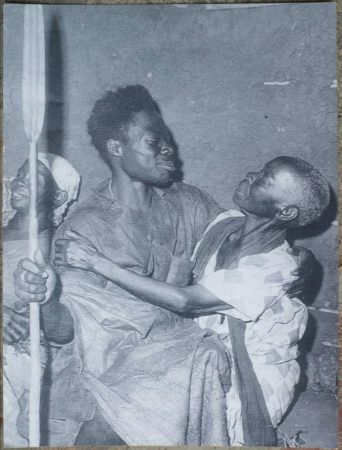 The photographs in Mr. Mubuuke’s collection are all reproductions printed on 6×8″ photographic paper. 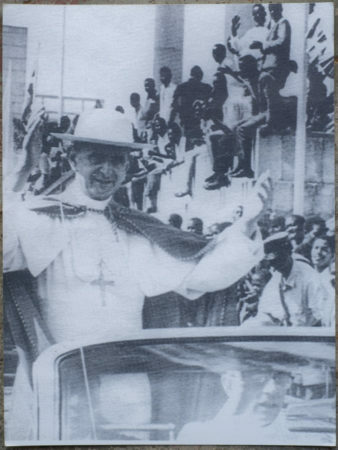 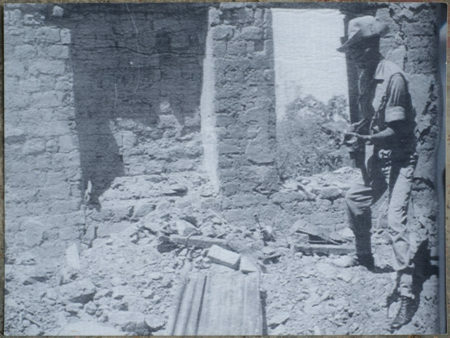 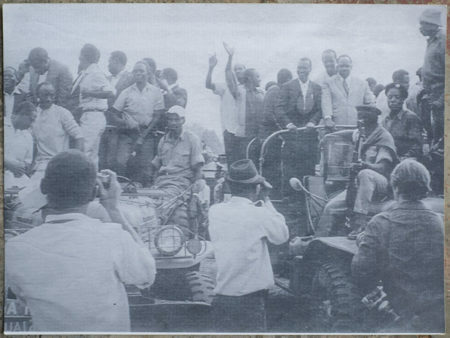 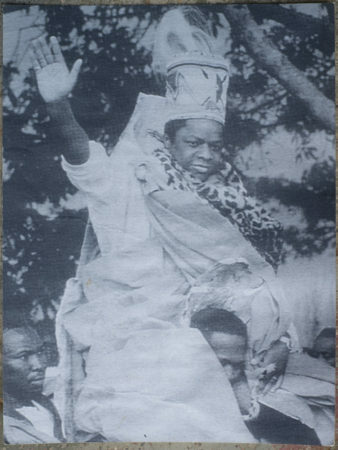 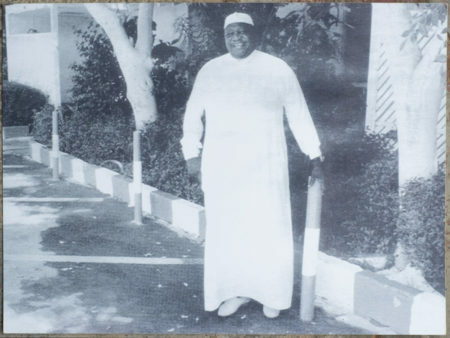 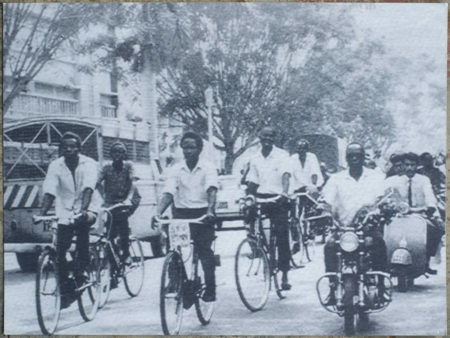 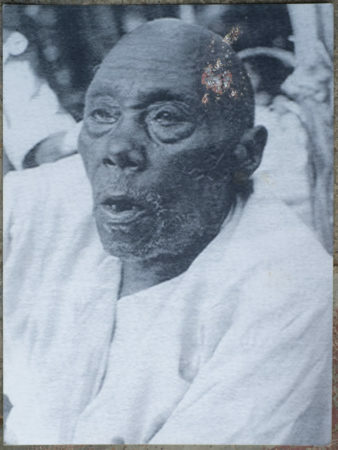 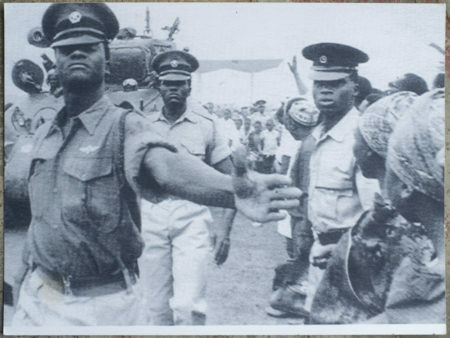 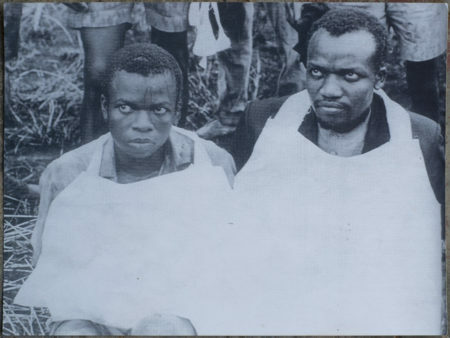 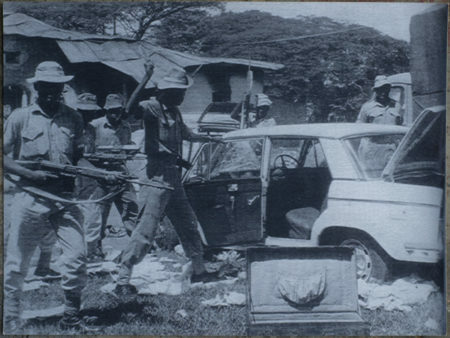 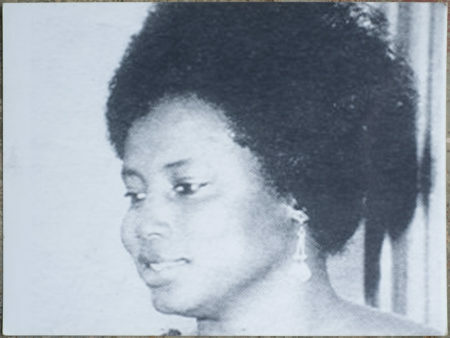 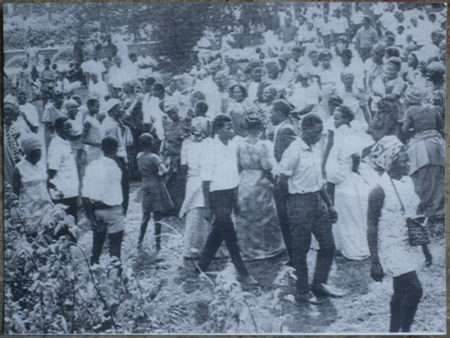 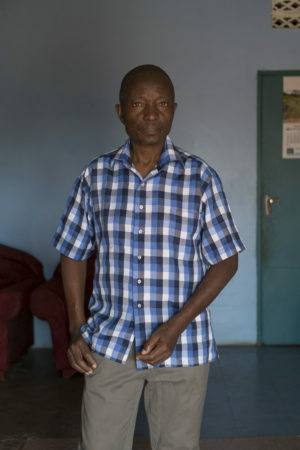 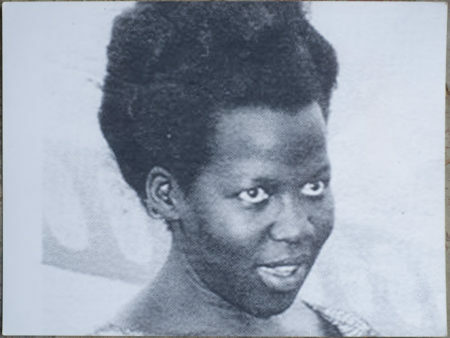 The photographs are related to Uganda’s political history. 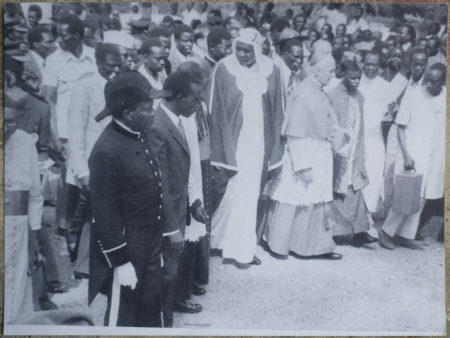 Some of them are well known, others are not. 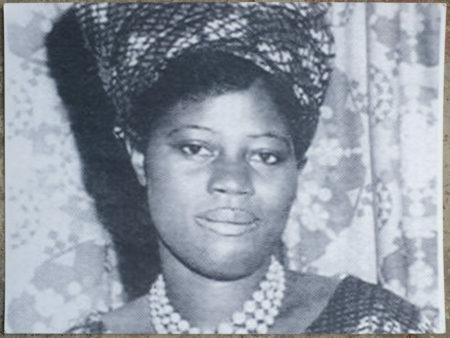 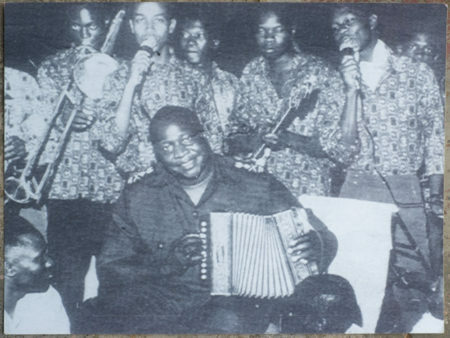 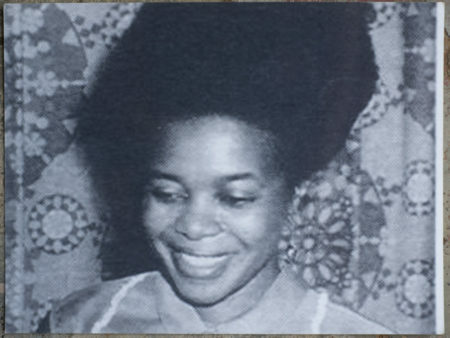 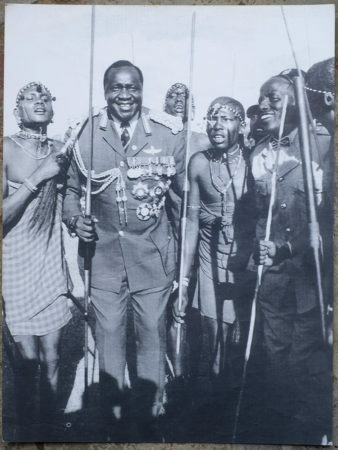 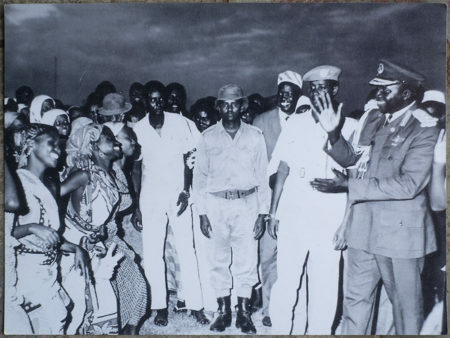 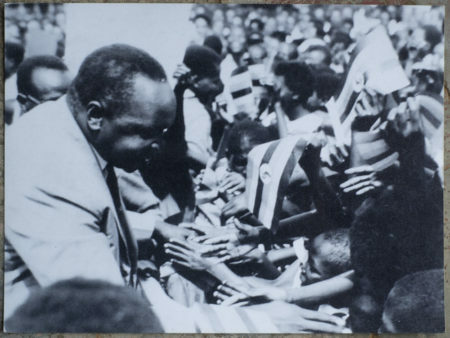 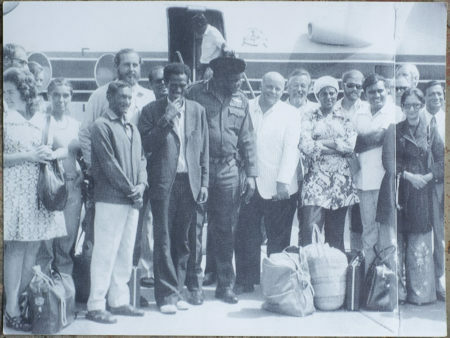 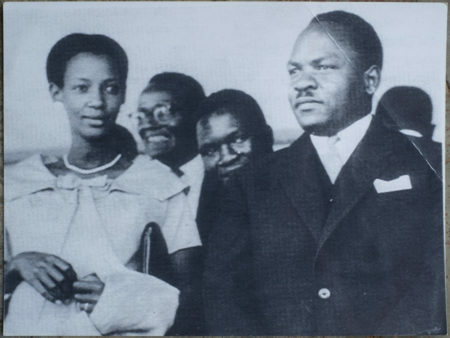 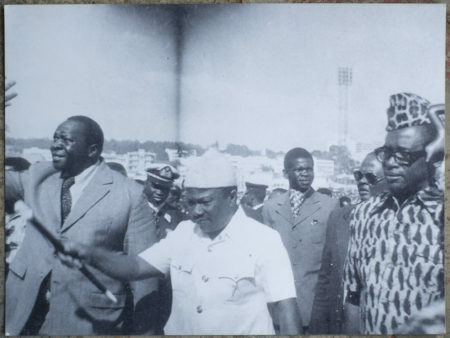 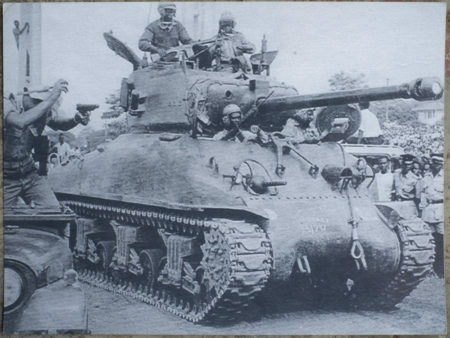 There are roughly four categories in the collection; photographs of Kabaka Muteesa II, of former president Milton Obote, former president Idi Amin, and ‘others’. 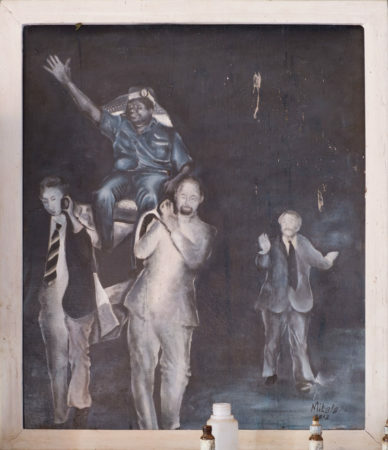 It looks as though the illustrious Drum Magazine may have been a source for quite a number of these reproductions. 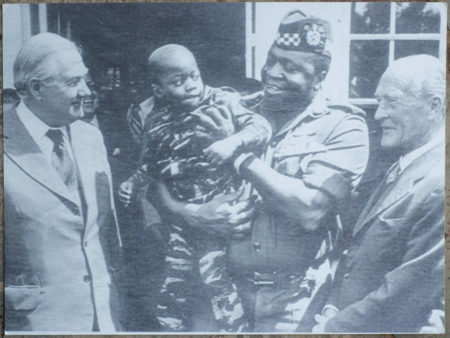 Out of a fascination for the figure Idi Amin Mr. Mubuuke had a painting made based on Mohamed Amin‘s famous photograph of the Ugandan president carried by Mzungu‘s. 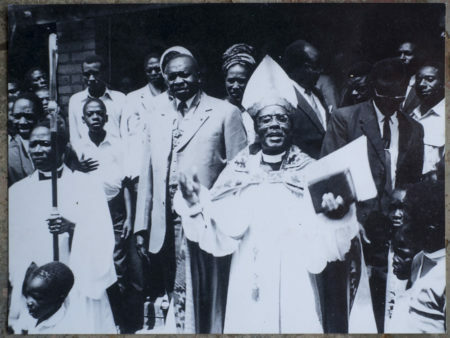 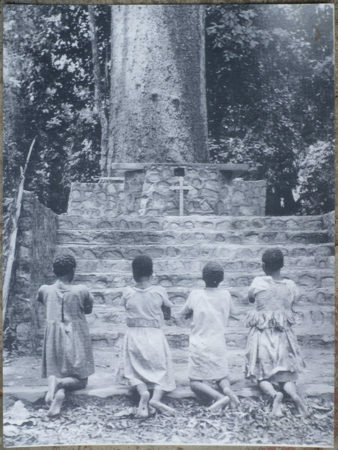 See this album on our Facebook page for more photographs made by Mo Amin in Uganda.